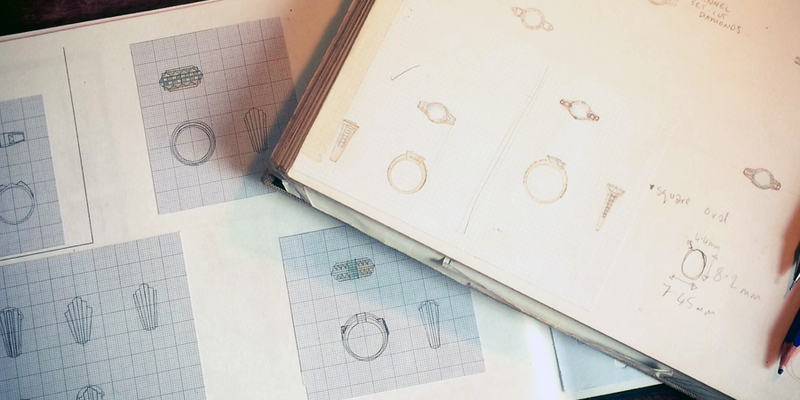 Emma Franklin studied at Central St Martins School of Art and Design and since graduating eight years ago she has focused on creating one off designs of huge variety and high quality, specialising in engagement and wedding rings. 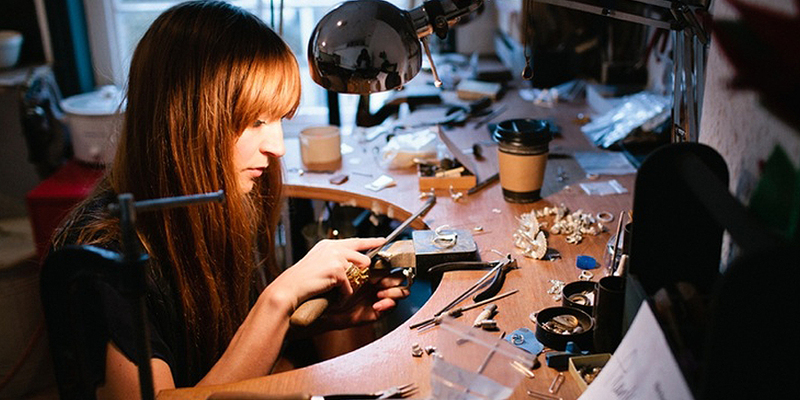 Welcoming every client to visit and meet in person, Emma Franklin designs and makes all bespoke pieces using traditional skills in her Clerkenwell studio/workshop, surrounded by London’s jewellery capital. Emma uses local specialist and modern techniques, keeping close relationships with loyal London craftsman over many years. We welcome all briefs and will often work from just a few broad references such as style, colour and metal. However we are equally happy to take more specific inspiration like a piece of art, a building or another jewellery reference. You can leave the rest to Emma and her team or have more input throughout the design process, working with them together – whatever makes you feel comfortable and always resulting in the perfect piece. Emma finds the most rewarding part is seeing the client delighted with the finished design – the final and most important piece to the puzzle. As a guide once a design is agreed the creating can be between 6 and 12 weeks depending on the complexity of processes and techniques. For any questions about the bespoke process please call the studio or email emma@emmafranklin.com and we’d be happy to advise.